but for all items marked we offer the possibility to integrate your Logo or to take your own motive for illustration. 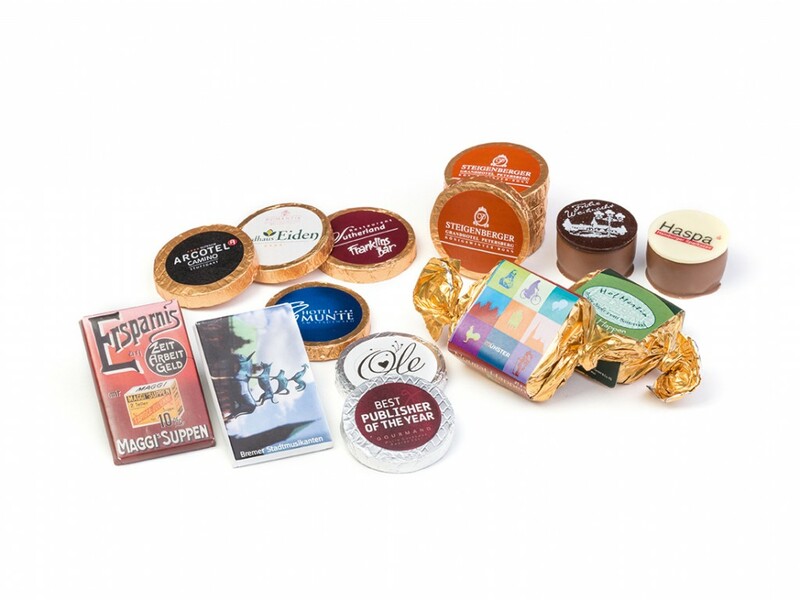 Get in touch with us and attract your customers with indulgence. We lay great importance on individuality! Many of our packages already have their special design, but for all items marked we offer the possibility to integrate your Logo or to take your own motive for illustration. Private label required? We would like to assist you! 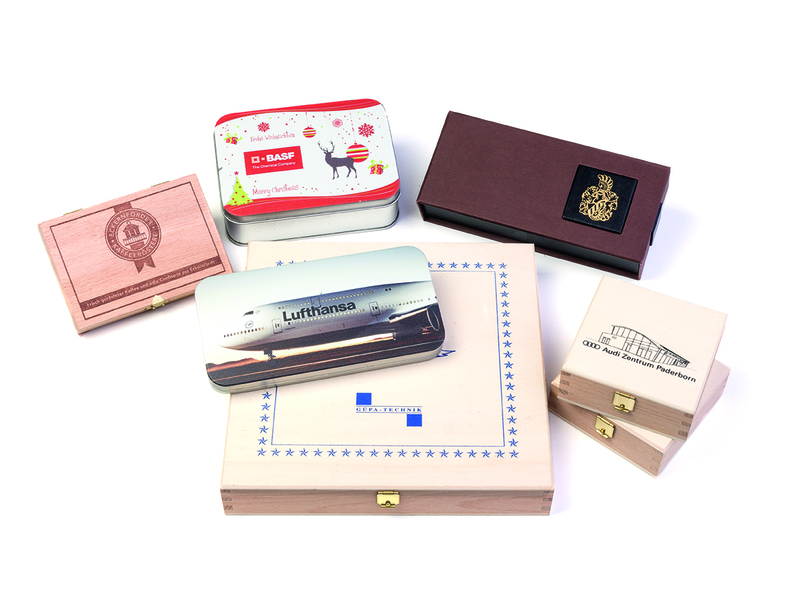 We print and imprint wooden boxes, silver tins, chests, folding boxes , sleeves, gold coins or morsels in different shapes and sizes. You can send us ready-to-print data or let us develop the design. You already have existing packages or inlays? We can fill them with our products and add your inlay. 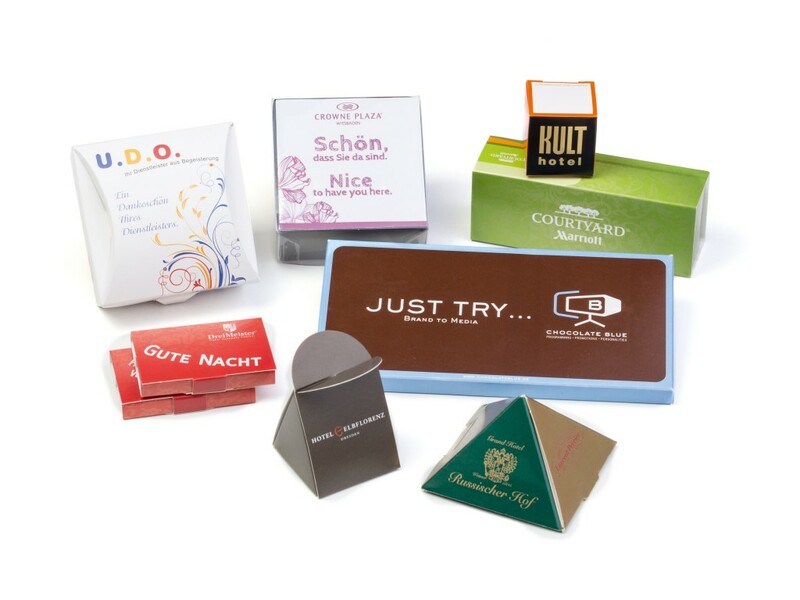 We can also label our products with your labels according to our possibilities.